Do you need to be measured for a tuxedo? Do you live in Summit County or Vail but you're going to be in a wedding somewhere else? Is the groom hounding you to get your measurements in, but you're not sure where or how to get those measurements? Don't worry. 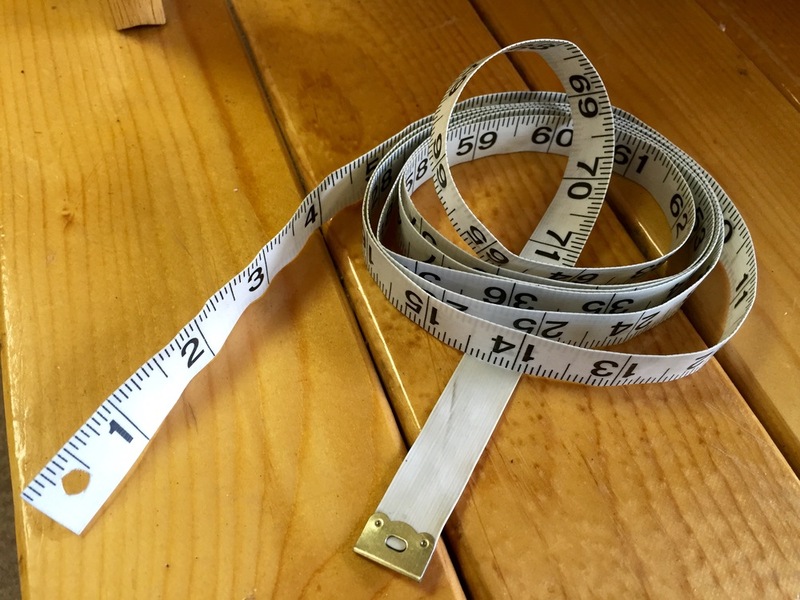 There's no need to drive to Denver--we can take your measurements right here in Summit County, at Frisco Fun & Formal. We'll get it done right, it costs only $10, and it doesn't take long at all. Please call us at 970-668-5732 to make sure that someone will be here who can take your measurements on the day you're planning to come in. Next, we'll have you try on some pants and a jacket to get the most accurate measurements possible. No matter where you're actually renting your tuxedo from, the sizes are fairly standard. It really helps a lot to try on the pants along with a pair of dress shoes, so we can get the outseam measurement just right. And since everyone is shaped a little differently, it is always helpful to try on a jacket and see what size works best for you. That's pretty much it! In no time at all you'll have those measurements sent in, the groom will be off your back, and you can get on with your life. Should You Rent or Buy a Suit for Your Wedding? -If you already have a suit at home, but want a different option for your wedding. Renting can give you great access to different styles, looks and brands at different price points. -If you want to wear a suit or tuxedo that costs more than you would normally spend on a suit, then renting can be a good way to go. -Renting is also a great option if you want to wear a tuxedo, and you don't envision needing a tuxedo often in the future. -If you want your wedding party to match, and you have several groomsmen, renting is typically the most affordable option. -When you have a lot of groomsmen coming from all over the place, it can be easier to coordinate rentals than trying to have everyone purchase matching custom-tailored suits. -If you don't get dressed up often, if you like to travel lightly through life, or far any reason you simply don't foresee needing a suit very often, renting can be much more affordable and easy way to go. Just wear it, return it and forget it. You never even have to visit the dry cleaners. -Purchasing can be a great option if you don't already have a good suit, and you anticipate needing one for future occasions. Having a tailored suit in your closet is great for job interviews, formal events, weddings and funerals. Choose a neutral color like black, grey or navy that could work for a variety of situations. -If you wear suits on a regular basis, then your wedding can be a good excuse to buy a new one. Wear it for your special day, then add it to your daily wardrobe. -Buying a suit or tuxedo may be your only option if you want something extremely unusual or specific, or if you need it to be custom tailored. There are a variety of rental suits and tuxes out there, but the styles are somewhat more limited because the available options are based on what is most popular. There's no right or wrong when it comes to buying or renting a suit. Both options have their advantages. Just try to make the best decision based on your situation, and enjoy your wedding! If you're getting married in Breckenridge, Silverthorne, Dillon, Keystone, Frisco, Vail or Beaver Creek, Colorado, we would be happy to discuss options with you. 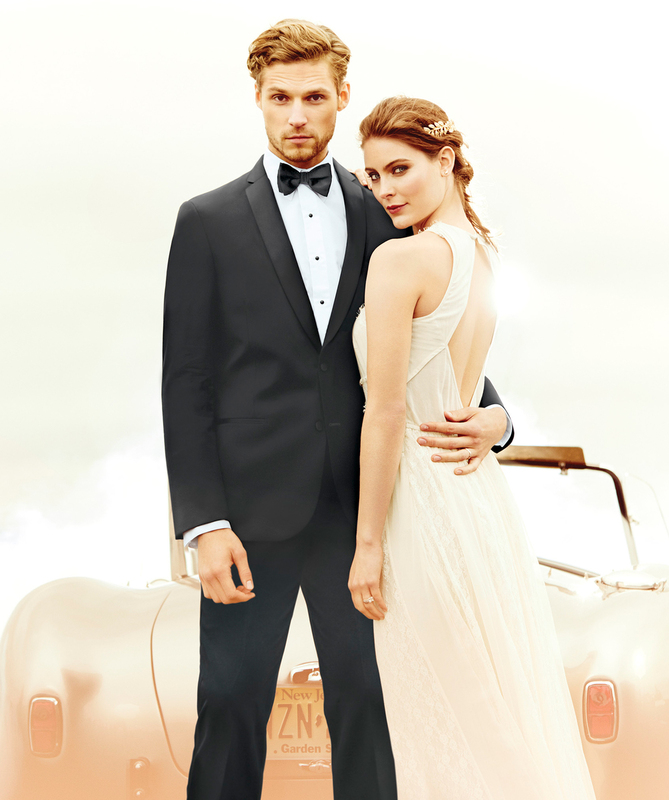 We have a variety of tuxedos, suits and accessories available to rent or purchase. For more information on styles, pricing and how the process works, check out our Formal Wear page! Thank you for choosing Frisco Fun & Formal for your special event. We are sure that you have probably browsed through the bridal magazines and Pinterest and the Jim’s Formal Wear site and now you are all ready to have the perfect wedding in which everyone in the wedding party looks just like models and everything goes smoothly and everybody smiles and laughs and cries happy tears and eats cake and then proceeds to live happily ever after. We are sorry to inform you that your wedding will not be perfect. You will probably not look like this guy. When you rent a tuxedo, you are inherently dealing with imperfection. This is clothing made to fit everybody, and therefore nobody in particular. The pants are adjustable by three sizes, and the shirts cover a range rather than an exact size. So if you need a 34-inch sleeve, you’ll actually get a 35-inch sleeve. Also, much like bridesmaid dresses, every style does not complement every body type. So unless everyone in your wedding party looks pretty much the same, somebody is likely not going to be wearing the style that would be most flattering for them. Please take a moment to consider eloping. Still here? Fine, if you insist. Moving on. So, here’s what we do. We try to get the best fit possible for each person. When all is said and done, if you work with us and understand the limitations we are all facing, we will have you looking pretty sharp. We understand this is a special day. We understand that many photographs will be taken. We will do everything we can to make everyone look good, while keeping this aspect of your wedding as painless as possible. We have a few tuxedos here at our shop, but they are mostly your basic black tux. If you want something more specific, and/or need multiple matching outfits, then we’re going to have to order them through Jim’s Formal Wear. The warehouse where all of the Jim’s tuxedos are kept is in Salina, Kansas. (Jim’s has other warehouses but Salina is the one closest to us.) In case you don’t know where Salina is, it’s just about 500 miles east of Frisco. So if we place an order for a Saturday wedding, the nice people in Salina pack up the tuxedos sometime during the week prior, and ship them via UPS to us. The UPS driver, no doubt enjoying the very scenic route through Kansas and eastern Colorado, brings them to Denver, then more UPS drivers bring them to Silverthorne and finally to our shop. Orders typically arrive here by the end of the day Wednesday—but sometimes on Thursday—for a weekend event. We’ll call you as soon as the tuxes arrive at our shop. At that point, the sooner that everyone can come in and try them on, the better. They need to get in here by Thursday at 2 pm, in order to have a good shot at ordering any replacements that might be necessary. If your wedding is on Sunday, we can still order replacements up until Friday at 2 pm, and they will arrive by noon on Saturday. If anything at all goes wrong—inclement weather, human error, etc—we are out of time to do anything about it. Stress levels for everyone involved tend to rise due to the uncertainty, and studies show that too much stress is bad for you. Ideally we like to have things squared away by Friday for a weekend event. That means by Friday we would have, in the shop a shirt, pants and jacket that is the best possible fit for each person. In order to achieve that, we need each one of these people to come into the shop on Wednesday—or Thursday by 1 pm at the latest—and try on their clothes. Or, if that is not possible, they would have had their ensemble drop shipped to their home earlier in the week and would call to let us know if anything doesn’t fit. We cannot emphasize this enough. Everyone renting a tux needs to get into the shop ASAP. We totally understand that you would rather go skiing, or hiking, or golfing, or drinking, than try on some dress clothes. But it's very, very important. You will probably get sick of hearing us reminding you about how very important this is…but then, one of your groomsmen is going to stroll into the shop on Friday night and he won’t be able to button his jacket and THERE WILL BE ABSOLUTELY NOTHING WE CAN DO ABOUT IT. So please understand that it’s your responsibility to pass this very critical piece of information along to every single person who is renting a tux (especially that one guy...you know who he is) and make sure they understand what we are telling you here. You are going to spend a significant amount of money on these rental outfits. (Remember, we suggested eloping. Just saying.) However, as the middleman in this equation, we don’t get to keep all of that money. In other words, we’re not in this to become insanely wealthy. At the end of the day, we’re happy if everyone leaves the store satisfied and nobody is mean to us. Someday in the future, all tuxes will probably be rented online, or traditions will change and people won’t wear tuxedos for weddings anymore, or we will all live in space. If/when any of these things happen and the formal wear rental industry is disrupted, we will not be super sad. Because really, this whole process can be an awful lot of work for relatively small monetary return. In the meantime though, we have to admit it can be a lot of fun to help people get all decked out for their special day. And, we feel sort of compelled to keep doing this crazy tux rental business, because Frisco Fun & Formal is a bit of an institution here in Summit County, and quite frankly if we don’t offer tux rental, it's likely nobody else around here will either. It wouldn’t be the end of the world. Everyone could go to Denver to rent a tux, or buy one online, or whatever. But as long as people keep wanting to work with a local business, we’d like to keep providing this service. It makes us feel good to help people and be a part of their special event. However sometimes we try our best, but things are still not perfect, because most things in life aren’t perfect. Sometimes, someone is overly critical of the imperfections. We believe this is typically a result of unrealistic expectations. Maybe they think we should be able to tailor a suit jacket to fit each person perfectly. Perhaps they don’t understand that some measurements were a little off. It could be that we needed to order a replacement item, and the UPS driver hasn't arrived at the shop yet. We always discuss things like expectations and the limitations of the formal wear industry with the person spearheading the rental process, but not everyone has been briefed beforehand. So to help keep everyone on the same page, we would definitely appreciate your sharing this link with everyone who will be renting an outfit, as well as the many friends and relatives who might accompany these people when they come try it on. Hopefully this clears up most of what you need to know about renting a tuxedo from us, and what you can expect. If you have any other questions or concerns, we will be available to help in any way we can. Although—as we have reiterated—nothing is perfect, we will do all we can to see that you are satisfied with our service and happy with the final result of your tuxedo rental experience. Before you RSVP for that Black Tie event, it might help to clarify exactly what a Black Tie event is, and what you should plan on wearing. This guy is ready for a black tie event. First and foremost, how is the invitation worded? If the invitation states "Black Tie" or "Black Tie Only", you will need to find a tuxedo because this event is specifically designed with tuxedos in mind. However, if the invitation uses the wording 'preferred,' 'requested' or 'optional,' you can expect a little more leniency on what you wear. In that case, it is best to go with a tuxedo if you have one, or if you can obtain one without too much trouble. However if you do not own one, or can't easily get one, you would be safe wearing a dark suit and dark tie. Just don't wear anything too casual, because it's obviously intended to be a somewhat formal affair. According to the Black Tie Guide, when attending Black Tie events there are basically two things to keep in mind. First of all, the host has gone to a great deal of effort to put together this event, and showing up without consideration for their specific requests is considered disrespectful. Secondly, one of the major bonuses of an all black tie event is to paint a consistent canvas of black and white that will perfectly showcase the beauty of the women's dresses. So, by wearing the right clothing, you are not only respecting and considering your host, but the other guests as well. If you find yourself with an invitation to a black tie or black tie optional event in or near Summit County, Colorado, feel free to stop by our shop or give us a call. We'd be happy to lend you our advice and help you select the perfect outfit for the occasion. Find information about Summit County events, activities and attractions, along with gift ideas, decorating tips and formal wear info. Learn about some of the interesting and fun items we sell in our gift shop. Also some random musings from the lady behind the counter.